We charge a fixed price for your property, see the table below but please call us if you have a 3 or 4 storey property, conservatory or single storey extension as there is a small additional charge. 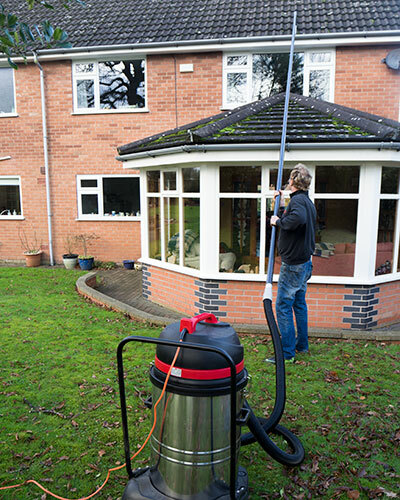 This assumes gutters front and back, if you have additional gutters please call us. We need access to the front and rear of your property. 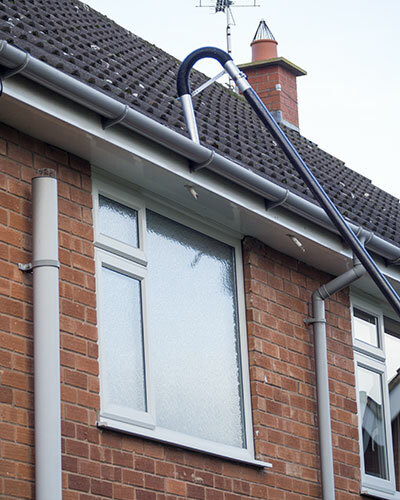 Our pipes will extend up to 4 storeys and reach over conservatories and single storey extensions. 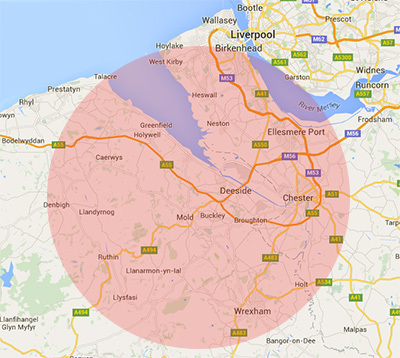 We operate 20 miles around Buckley in North Wales.